President Donald Trump is the most fawned-over attendee of the World Economic Forum in Davos since Angelina Jolie and Brad Pitt came in 2006. Trump is expected to deliver a speech antithetical to the praise of globalism typically shared among the world’s elites at Davos. 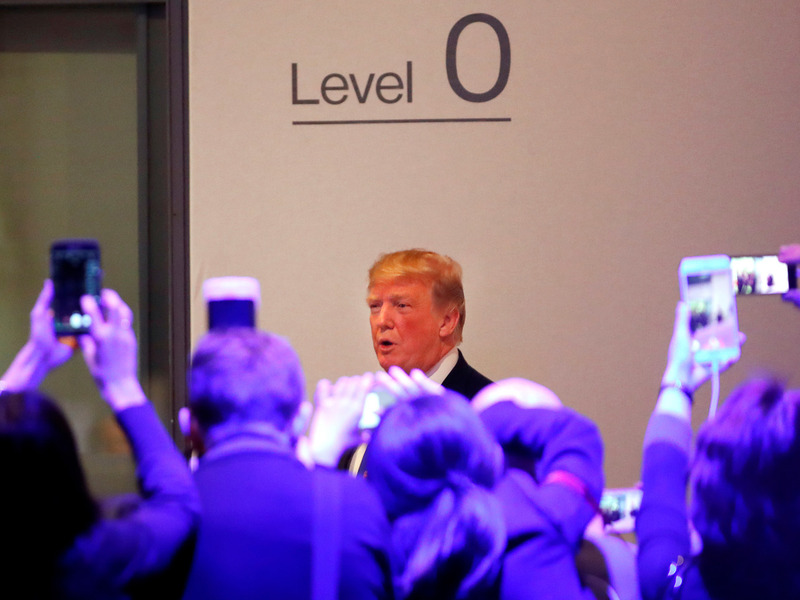 Despite embodying the antithesis of the usual celebration of globalism by elites, President Donald Trump has emerged as the most fawned-over attendee of the World Economic Forum’s annual conference in Davos, Switzerland since Angelina Jolie and her then-husband Brad Pitt attended in 2006. “A World Economic Forum official said no Davos attendee had gotten as much attention since Angelina Jolie,” Axios’ Mike Allen reported. Trump, who was never invited to Davos as a businessman, has become the focus of attention as the conference draws to a close and anticipation builds over a speech he’s set to give on Friday. “Rooms and rooms of people at Davos waiting for a brief President Trump appearance,” Business Insider’s Alyson Shontell reported from the scene.